Yes, we are still here and we are still moving to Nicaragua! Our website is now online and ready for you to view. 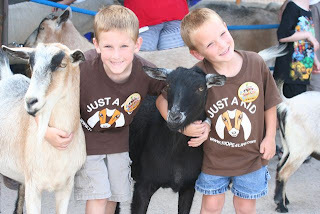 Check it out at www.thegoatlife.com. You can read all about us and our goal to live in Nicaragua for five years teaching the gospel of Jesus Christ and helping to fight poverty through sustainable agriculture techniques and goat breeding. There are photos and videos for you to see and we will be updating the website often with new content. We will also be updating this blog a lot more often so check back for new posts here soon. Thanks for keeping up with us and God bless! 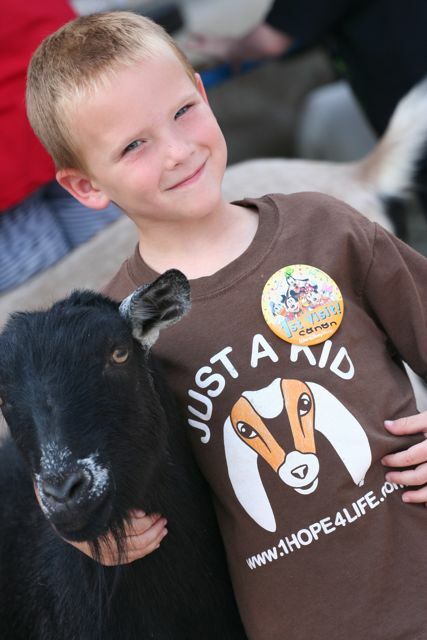 Below are some photos of the Steed boys (human kids hanging out with goat kids) wearing very awesome Hope For Life t-shirts!